The ancient capital and administrative centre of the New Forest National Nature Reserve. The history of the New Forest can be traced back to Saxon times and the town still retains its 17th-c royal hunting lodge, now known as the Queen's House. The lodge is currently used as offices by the Forestry Commission and also by the Ancient Court of Swain mote (Verderers' Court), which meet six times a year to administer forest matters and settle disputes. The town's Victorian gothic church has Pre-Raphaelite stain glass windows by Burne-Jones & Morris. Alice (Hargreaves) of Lewis Carroll's Alice in Wonderland fame, is buried in the churchyard. Other notable buildings include Foxlease House (circa 1700), headquarters of the county Girl Guides Association and Northerwood House, where George III often stayed. 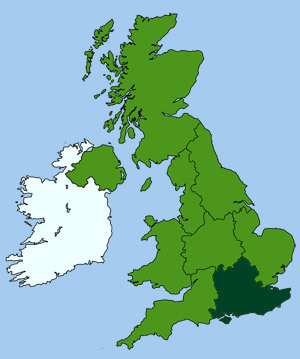 Created by William the Conqueror in 1079. A 90,000 acre (580 sq kilometre) varied landscape of wild heath, moors and open woodland. Moulded by centuries of grazing ponies and peppered with tiny thatched villages. The area is especially rich in wildlife with ancient oaks, wild flowers, fungi, deer and birds. 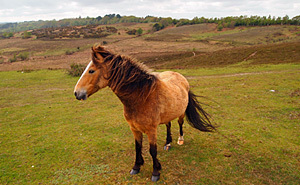 The iconic New Forest ponies have roamed free here for many hundreds of years. Easily explored by foot, cycle or horseback.